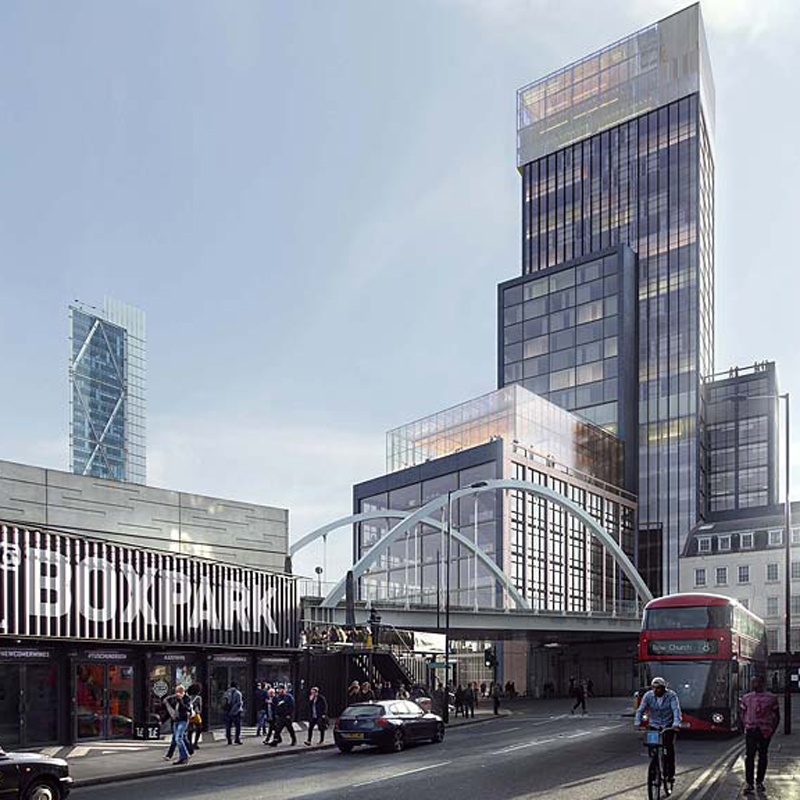 A new 30 storey hotel and office building in the South Shoreditch Conservation Area. The site lies towards the northern end of the emerging cluster of tall buildings along the A10, in an area undergoing significant change. Design development advice and Townscape and Visual Impact Assessment and Built Heritage chapters of the Environmental Statement. Planning permission granted July 2015.